You’ve might of heard it before but until you’ve tried fresh almond milk believe me you haven’t actually tasted almond milk. 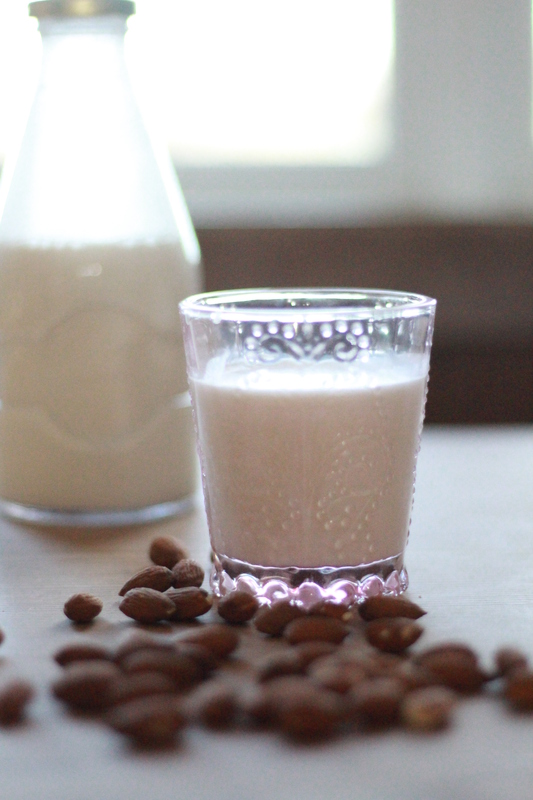 Fresh, creamy and divine tasting real almond milk is the king of milks and preferred by most to cows. Commercially bought almond milk whilst a great non dairy alternative just doesn’t compare to the real thing and often can include as little as 2% (yes you read that right 2 measly % of almonds), a cocktail of nasty preservatives and synthetic vitamins, which overall can do you more harm than good. But don’t worry making almond milk is easy. I mean really easy. Easier than completing an online shop or getting to a shop picking some off the shelf and paying for it. And of course its full of all the amazing nutrients and real vitamins from the wonderful almonds. As well as tasting AMAZING, creamier and naturally sweeter than cows milk and of course you have the added benefit of not worrying if the almonds have been kept in squalid conditions and kept alive via a continuos ingestion of antibiotics. This milk has been extremely popular in our house so much so that my first batch disappeared almost instantly, hastily drunk by the two dairy milk drinkers in our home! It’s full of natural vitamins and nutrients that will boost your immune system, are naturally anti inflammatory and will help give you glowing skin, strong bones and a healthy heart. I now buy my almonds in bulk and make this every 2-3 days as the milk will go off if you leave it any longer, it’s important to soak and rinse your almonds as this gets rid of the phytic acid and breaks down the enzymes and creates healthy enzymes. I would also recommend getting a good staining or cheese cloth bag. I use this great contraption you can just leave so that the milk drains through on its own – one less job. You can also use the pulp in lots of recipes and even to make a healthy face mask… currently on my to do list. 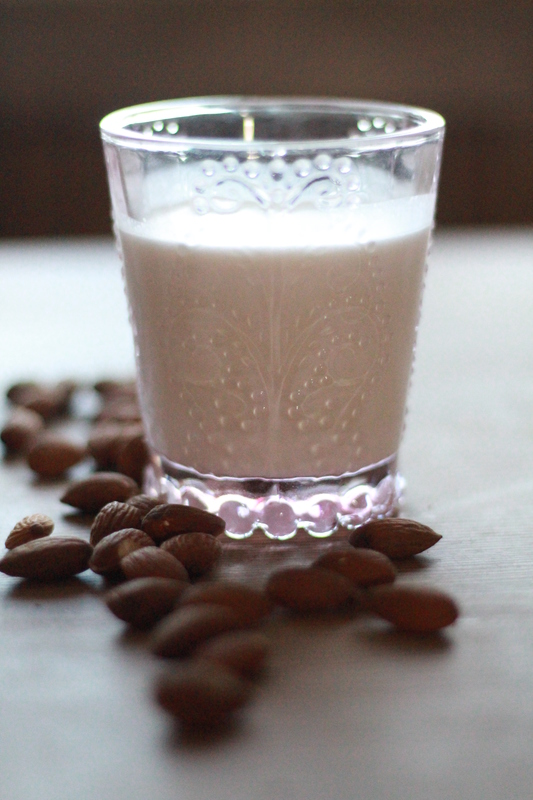 Believe me you will never buy or drink shop bought almond milk again, this is truly luxury in a glass. A creamy, dreamy luxury milk which will change your view of milk for life. A bold statement of truth. Sweetener of your choice. I used local organic honey but you can use dates, stevia, maple syrup etc. Add your choice of sweetener until your milk tastes to your preference. Notes: Keep in a sterile container for up to 3 days. I make all of my plant-base milks except soy milk. I love your tasty almond milk version but Sometimes, I make it full & not filter it.